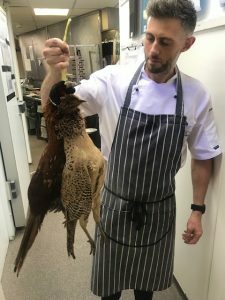 Recently appointed Sous Chef at Restaurant 1539 – Chester Racecourse, Richard has over 15 years of culinary experience under his belt. His illustrious career has seen him working for award-winning Signatures and numerous Michelin star restaurants in London, before bringing his passion to the historical Roodee. A keen food photographer and travel enthusiast, Richard gathers his influences from around the globe, taking inspiration from different cuisines whilst on his adventures. In this last year he has visited both Vietnam and Bali – the perfect way to recharge before another busy race season at Chester begins. Restaurant 1539 is Chester Racecourse’s statement on-site eatery, awarded for it high quality culinary offering with an AA Rosette.